Board member, Robbie Leonard, made a motion early in the meeting to delay the vote on the council until January, after a new administration takes over. Despite the build-up to tonight’s meeting – which involved the vote on MERC – the result of that vote was so quiet that some in attendance looked around the room to see what had happened. The meeting then proceeded on to other business, while more than half in attendance left after Leonard’s motion to table the vote passed. Leonard is an at large member of Rec and Parks and is also the Democratic candidate for senate, District 42, which covers the Ag Center. He is running against Delegate Chris West, a Republican. West also supports the Ag Center and members of the existing council who dedicate their time to it. 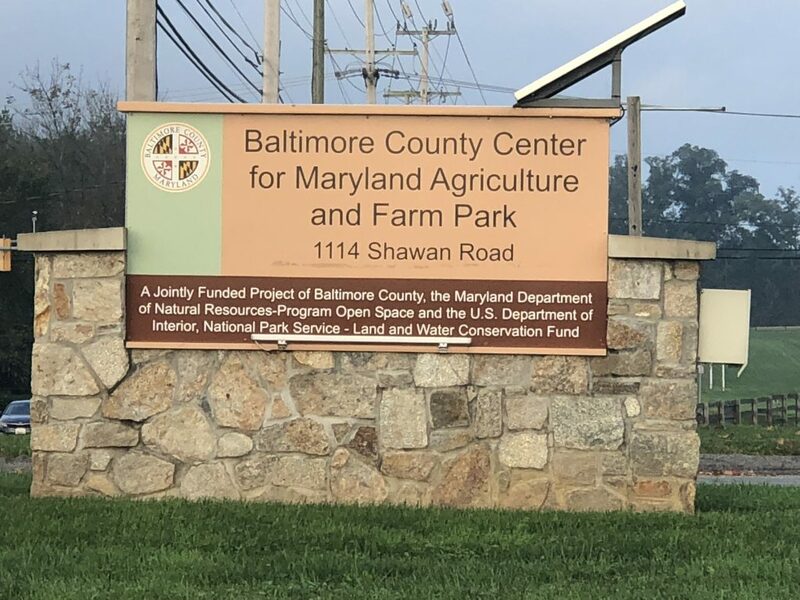 Since 2010, the Ag Center’s founding council – the Maryland Agricultural Resource Council (MARC) – has supported the center through farming, activities and educating the public. With the help of the county, the MARC converted 149 acres into farmland and facilities intended solely for agricultural purposes. The MERC would be an additional council which would focus on equine activities instead of agriculture, which is the function of the MARC. The two councils do not see eye-to-eye. Rec and Parks tabled the vote to certify the MERC. But even with the countdown to the midterm election less than one month away, county officials want big changes to the Ag Center. And those changes would have been supported with the new MERC council that would have been hardwired to support the soon-to-be previous county’s vision. That vision, some concerned community members say, is to convert the Ag Center and two other parks into equine trails and veteran rehabilitation facilities. Its name: the Hunt Valley Gateway Equine Park (HVGEP). Yet, the county maintains that equine-focused uses on Ag Center grounds have always been part of the county’s master plan. But some community members and activists say the county is going off script. While MARC members say they support the idea of helping veterans – which is what the county says is the impetus behind the equine facilities and the rehabilitative services that would be offered as part of the county’s plans – some have questioned the county’s actual motive to not only change the function of Hunt Valley’s Ag Center, but to also bring an out-of-state equine rehabilitation organization – Saratoga WarHorse – into the mix. Saratoga WarHorse would and does provide the services on Ag Center grounds. The organization is based in South Carolina and New York. In 2016, the county tried to divert $1 million to the organization through a purchase of a property adjacent to the Ag Center, Shawan Downs. Records obtained by The Baltimore Post through a Maryland Public Information Act request, and first reported by Mike Ruby from The County Chronicle, show that the county requested that the land trust that owns the property donate the money to Saratoga WarHorse as a condition of the the $3.5 million sale. The deal did not go through. Additionally, The Baltimore Post found through researching one of the organization’s financial records that, at the time, Saratoga WarHorse had only $74,140 in promised one-time and ongoing donations and $532,748 total in assets. The diverted funds would have tripled the organization’s assets in one transaction, using Baltimore County government’s funds. One was the issue relating to the MERC council seeking approval. Hiebler said the application for MERC, a legally incorporated council seeking to develop and promote equine facilities and activities, was the issue to be considered tonight. “Our consideration of the council must follow guidelines,” Hiebler concluded. The vote to table the proposal was then taken.